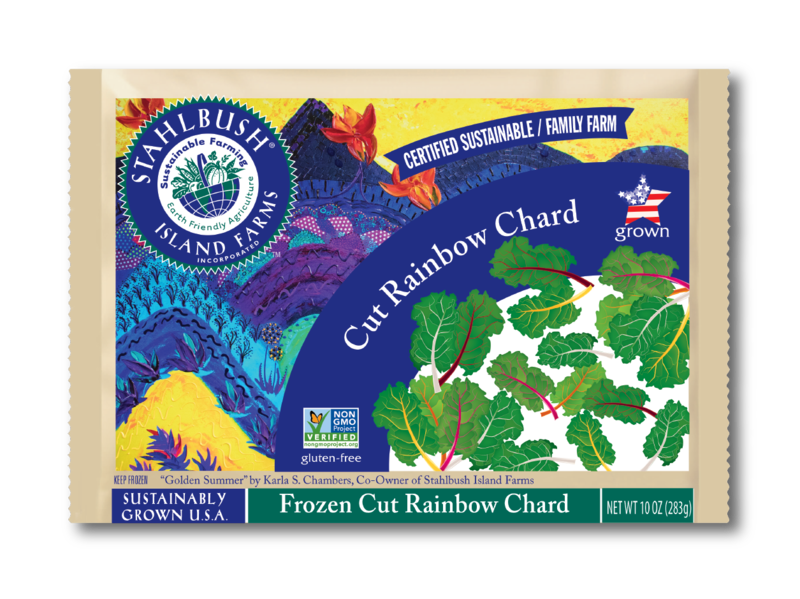 Cut Rainbow Chard offers consumers the color and flavor they love and expect from chard. 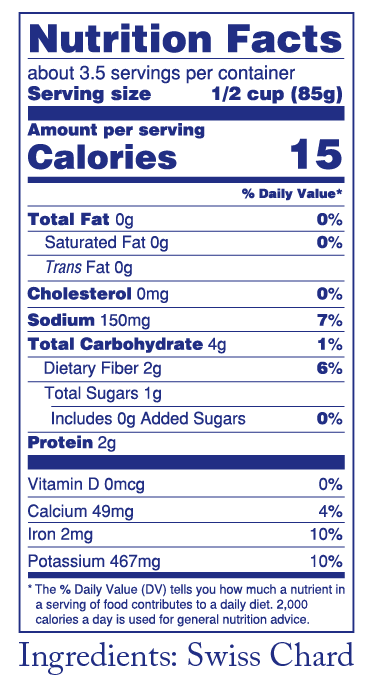 It can be used to punch up a salad’s nutritional value, used as a topping on pizza or tacos, or as a featured side dish. Add cooked rainbow chard to your favorite taco for a superb power taco. Give the frozen chard a salt massage, rinse and wilt it slightly to serve with garlicky yogurt or blanch it and serve it Japanese style, in a buttery soy dressing. 3. Make a lentil or bean soup. Give soup an extra nutrient boost by adding the greens during the last 15 minutes of cooking. 4. Use it as a base for chicken. Bake chicken over chard and croutons for a one-pot mail. Top a frozen pizza with frozen chard for an extra boost of green.